Add a touch of traditional brilliance to your ethnic outfits with these one-of-a-kind flaming jhumkas which have been crafted beautifully. 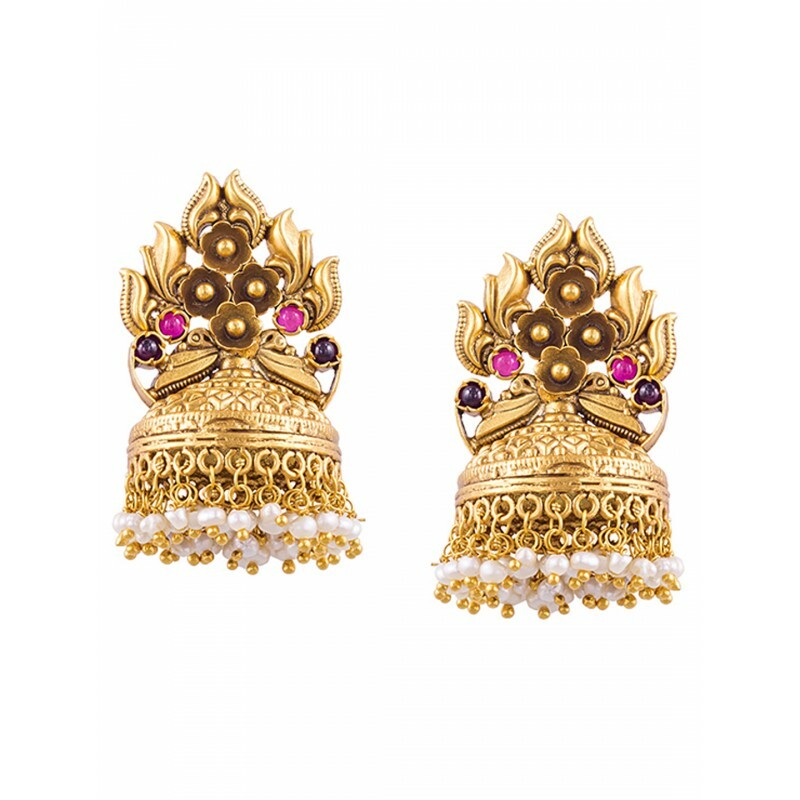 With pink ruby coloured glass stones and white beads breaking the colour, this will set trends on fire! Pure Gold plating done on Sterling Silver. *Disclaimer: This product has been made by hand and may have slight irregularities that are a natural outcome of the human involvement in the process.